What an insane 6 weeks it’s been! Sometimes, I’m so busy I don’t even remember to update you all until someone asks me what I’ve been up to. So, I thought I’d give you a rundown of what’s been happening in my world recently. Whew! Where do I even begin? 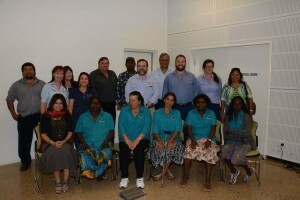 Let’s start with my trip to Katherine in the Northern Territory where I was invited to facilitate a cohesion team-building workshop for the Roper Gulf Regional Council. 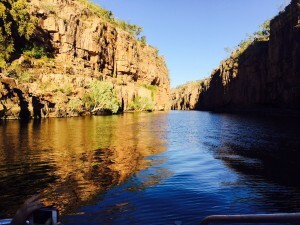 I just couldn’t leave Katherine without visiting the beautiful and renowned Katherine Gorge. One word sums it up for me: stunning! I loved listening to the birds, the trickling water and being surrounded by nature. 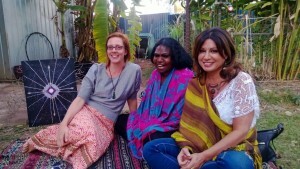 I was also lucky enough to have some time with a number of inspirational women to talk about the world of hope, possibility and spiritual awareness. 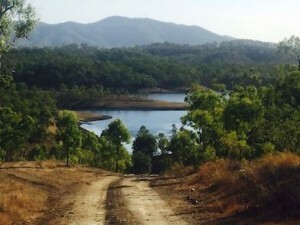 My next stop was Lakeland in Queensland where I facilitated a cultural change and team building session for a regional farm. Check out this view from my cabin. This is what I woke up to every morning while I was there (lucky me!). I really enjoying my time working with the family business run by the beautiful and very dedicated team of people. 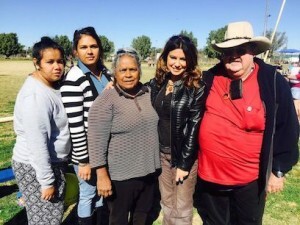 From here, I went out to Cunnamulla in central Queensland to facilitate community engagement in regards to economic enterprise and social wellbeing. Look at this stunning view! And wow! I enjoyed a fantastic day’s break and this is another stunning place! 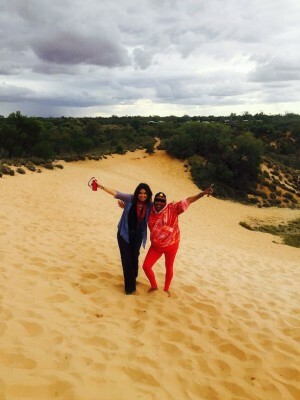 I even had some time to enjoy chilling out at the famous Cunnamulla sand dune with community elder Glenda. I was then in Napranum for the opening of the Civic Centre and their brand new library! 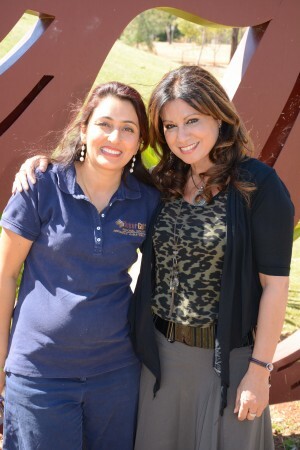 That was another tick off the Napranum Visionary Plan – it was a high energy filled day with a turnout of 200 people and it gave me a chance to spend time with my beautiful friend, MaryAnn. We even made time for another radio broadcast with David Gibbon in the UK! 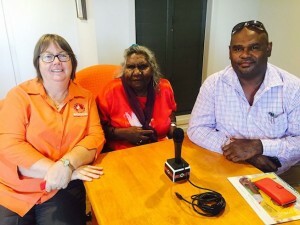 Margie Barnes and Ernest Madua were our guest speakers. 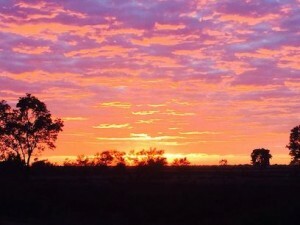 Soon enough, I found myself in the wonderful Weipa where I had an amazing time. After my Qantas flight was cancelled though, I found myself stranded but thanks to the power of Facebook though (don’t you love it when social media helps you out? ), I managed to get a lift all the way to Cairns. Sure, it was a long drive but sometimes, with the speed of flying, you forget how enjoyable a good old-fashioned road trip can be. Beside that interesting turn of events, I also announced a couple of things I’m really excited about. The first being the book I’ll be releasing with inspirational elder Maryann Coconut, Elder of Napranum. We are both feverishly writing away so that we can hit the deadline we’ve set which is early next year. Stay tuned for more updates (feel free to read more about the book here). Neither of us wants to reveal too much at this stage but as we’re seeing the book unfold, it’s really hit me how our lives have mirrored one another in many ways. The other exciting announcement for the week was that Maryann and I will be speaking at the Inaugural Launch of Universal One and The New Forest Festival of Light next year. While it’s still quite a while away (September 2016 to be precise), both of us are very excited about this fantastic opportunity and we’re well and truly planning ahead. What really drew us both to this event is Universal One’s commitment to its mission. You can read more about this here but at its core, lies hope and inspiration. More details in relation to this event will be released later next year. As I write this blog post from Cairns (thank you to the very kind person who got me here! You know who you are…), I can safely say that promising things are ahead. In the meantime, who knows where this week will take us. 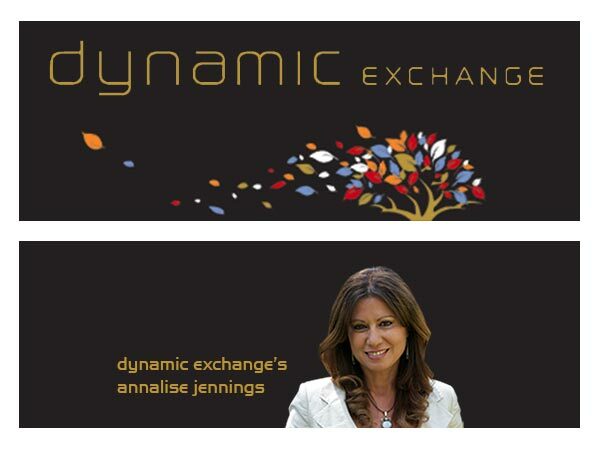 Have you Liked the Dynamic Exchange Facebook page yet? 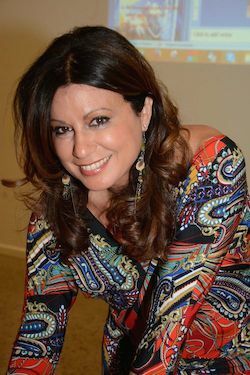 You can follow my journey around Australia (and the world) – feel free to drop by and say hello too!